Every now and again we’ll see a tennis match that reminds us of why we fell in love with the game. At its best, it can be a thrilling chess-like game; offense versus defense, probing for a weakness and looking for the right time to hit that killer shot. Whether you’re inspired by the man on top or the person refusing to be beaten, here are some tips for playing both offensive and defensive tennis with good racquet . If you’re in control, you’ll want to stay that way, and there’s no better way to do that than to keep your opponent moving. It’s easier than it sounds; just hit the ball into space, forcing your opponent to scramble and not have time to hit an accurate return. You’ll tire them out in no time, and victory will be yours. Once your opponent is hitting those defensive floaters, it’s time to attack the net. By anticipating such a shot and moving towards the net, you can hit a powerful overhead shot and potentially win the point, or at least force a wild and inaccurate reply from your foe. Go in for the kill – go in to the net. Whilst a hard technique for even many professionals, having a good serve and volley game can be an effective offensive technique. Hitting a hard, accurate serve will see little in way of a return, giving you a great chance to volley home to victory. If your opponent has the upper hand, don’t worry about hitting a point-winning return – it’s unlikely to come off. Instead, try for a high lob-type return with plenty of topspin. Whilst not a hard shot for your opposite number to attack, it can buy you valuable time to run into position whilst the ball’s in the air, giving you a better position to win the point from. An opponent rushing towards the net is an opponent who smells blood and wants to go in for the kill – don’t give them that satisfaction. By hitting a lob or shot close to the net, you’ll have a good chance of winning the point, or at least force them back to the baseline with their tail between their legs. Footwork is essential in tennis, especially if you’re in a defensive phase where you’ll have to move around the court. By improving your footwork, you’ll have a better chance of getting to your opponent’s shot and then getting into a better position to attack from. In truth, it’s impossible to say which of offensive and defensive tennis styles is the “best” way to play. Whilst offensive players may look better on the screen, the better players are capable of playing both styles and, more importantly, they know when to play each style. By practicing both, you can become a better all round player and a player to be feared. If you ask any decent tennis players, they’ll tell you that when it comes to playing a match, a large part of it is won and lost before you even step foot on the court. Good preparation is key to winning any tennis game, providing you with the right physical and mental states that are key to winning and avoiding injury. Here are some important ways to prepare for a tennis match. Preparing for a tennis match doesn’t just mean the day of the game; it begins days in advance. • Providing you know your opponent, you’ll want to study his playing style for ways to find out how to defend against his attacks and beat him. • If you know you’re going to be playing a defensive tennis player, try to practice against a defensive player, and vice versa. This way, you’ll know what to expect and what shots to hit to win. • Ensure you’re physically fit. Not only will you have a better chance of performing at a higher level for a longer time, it’ll help to prevent injuries. Cardio and practice matches will keep you in tip top shape for your match. By staying away from the bar the night before and being well rested, you can maximize your chances of victory. • Make sure to set an alarm to wake up 2-3 hours before your match, ensuring your body is fully awake and not too tired. • Make sure to eat right. This means avoiding foods like dairy or high oil foods and taking onboard fruits, cereals and carbs like toast for energy. • Hydration isn’t just something that you do during the match – it starts way before. Make sure to drink plenty of water and electrolytes to hydrate your body for the grueling physical activity you’re about to undertake. Once you’re on the court, your physical and mental preparation is key to success. • Start with a quick 15-minute physical warm-up, making sure that your muscles are stretched to protect against injury. • Next comes your technical preparation. 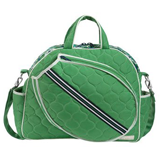 Here you’ll want to run through specific plays or shots with your best tennis racquet, practicing your strikes and serves. Ideally, you’ll spend 30-45 minutes with this preparation. • Next comes mental preparation. If you’re in a long match or in a lengthy tiebreak situation, it can often be mental preparation that proves to be the key to victory. Rest alone to avoid any distractions and focus on just the match ahead and how you’re going to play it. Remind yourself of your skills and qualities and how you can win the match. If you believe it, you can achieve it. • Finally, before the game starts you’ll practice with your opponent. It’s the last chance you’ll get to practice, so strike the ball and practice as though the match has already started. When you’re on that court all the preparation you have done will give you the best possible platform from which you can achieve victory. Sometimes you will lose, and that’s okay. Even the greats lost games. Treat it as extra motivation for your next match, train harder and eventually your hard work will pay off. Every new point with tennis always starts with a serve. The person who is serving stands behind the right (or left) side on their end of the court, behind the last white line (the baseline). This signifies that they’re standing outside the court. One can stand to the far right on the edge of the court or almost in the center. Players often find it helpful to change position depending on where they are aiming. After each serving (up to two serves), you change from the right to the left side (or visa-versa) to serve as the next point. The idea with the serve is to strike the tennis ball and send it over the net and into the box on the diagonally opposite side of the court to where you are standing. Once this is achieved with frequency, you will start to improve your serves by targeting corners of the box to make it harder for your opponent to return the server (by hitting it back over the net inside the court). 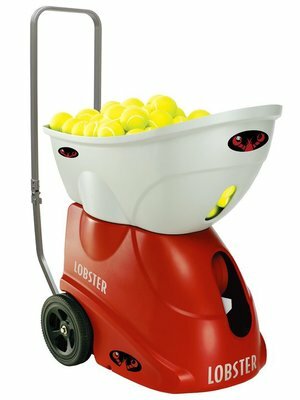 While striking the tennis ball cleaning is, of course, important, the central focus is directed towards accuracy. Advanced tactics include hitting to the weaker side of your opponent (perhaps their backhand is not as strong as their forehand). Don’t be afraid to mix it up too, so that your servers are not predictable. When you’re up for serving, you only get two serves on one side of the court to get the ball into the opposite box just over the net. Hitting the net is acceptable as long as the ball lands in the correct box. The first serve tends to be one that’s struck hard and aggressively. There is a greater risk of missing the box or hitting the net this way, but it leads to the best results. With the second serve, failing to hit the ball correctly and landing it into the correct box on the other side of the net leads to losing a point in the current set. Because of this, you should be more cautious with your serve to ensure it reaches its intended target. Players typically aim more for the center of the box (to account for error) and strike the ball less hard (to reduce miss-strikes) with second serves. The serving box is divided into three main sections. These are known as straight through the middle, wide and the main body. Serves aimed out wide target the near edge of the court and risk being ruled out of court, but get the opponent having to stretch to reach the ball. Alternatively, with the middle area, aim as close to center as possible. Lastly, the middle is where one should aim at a second serve when leveling or down on points in a set. You would be smart to vary your serving to keep your opponent constantly guessing what you’ll do next. A deliberate short serve is one that barely gets over the net and bounces at the front of the box. For opponents waiting at their baseline, they then have a long way to run to reach the ball before it bounces a second time and they’ve lost the point. This type of serve usually leads to extended rallies at the net which is exciting. 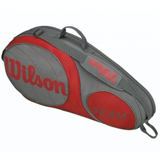 It is often a tough decision whether to play using a one-handed backhand grip or a two-handed backhand grip. There are pros and cons to every case. 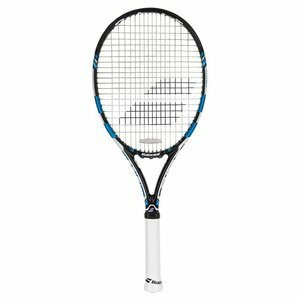 To complicate matters, every player is different, and they may even differ between the use of one or two hands for backhand returns over time with the best tennis racquet. Before 1970, tennis players were only one-handed with backhand hits. With the etiquette of respectable,to use two handssimply was not done and so didn’t show up in any training manuals of the era. The successful tennis player Bjorn Borg changed all that. 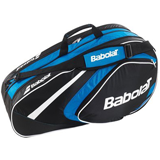 With the combination of his two-handed backhand and numerous winning matches, a change swept across the tennis landscape and players quickly adjusted to using both hands to grip the racket. Which Is Easier for Beginners? For many beginners, being able to use two hands for their backstroke is reassuring. This is particularly the case for women and children. Mostly in the latter case, the strength available in their shoulder, arm, and wrist make it difficult to strike the ball with any real power. When using a two-handed grip, it is easier to keep the racket steady, flow through the shot, and use more of the body and strength from both arms to strike the ball more powerfully. Using two-hands, once comfortable with doing so, with a backhand shot offers the potential for greater accuracy. We say here, potential, not guarantee. For some players, using two hands gives them greater confidence when hitting the ball and offers the potential for more purposeful follow-thru action too. Is Single-handed Better for Reach? When a ball it returned into the corner near the baseline, it often takes a fully outstretched arm to reach the ball before it sails past. For two-handed players, this severely restricts their ability to return the ball because they are not able to plant their feet and reach as far with this type of grip. Simply put, one-handed backhand offers greater range. A slice shot where one adds backspin to the ball to make it spin backward after bouncing is a single-handed move. Trying to use two hands to perform a slice doesn’t achieve pleasing results. Don’t trust us? Try it for yourself and see! Power Backhand Shots Are Always Two-handed? It is a fair observation that the harder shots are often delivered two-handed from the backhand. Not every player is the same. Some players are just uncomfortable using a two-handed grip regardless of the benefits. Other players prefer to stay single-handed to avoid juggling between single-handed grip for some strokes (like slices) and switching to two-handed grip for their backhand. Worst case, they could drop their racket in the middle of a point while switching their grip. There is no right or wrong answer with how many hands to use for a backhand grip. Ultimately, there are pros and cons to each approach. It also comes down to what the tennis player is comfortable with and requires, rather than correct and incorrect technique. Before we explain how to put an over grip on correctly, we should cover why using one is important for tennis players. Every tennis racket comes with its grip. It is there to be used. However, even professional players usually avoid doing so.The reason that players don’t use the original grip is that it will wear down and wear out over time. When this happens, it becomes problematic to remove without leaving parts of the grip still on the tennis racket handle. Alternatively, when using an overgrip to cover over parts of the original grip that have worn down or worn away, the new grip will feel uneven. To prevent the kind of issues described above, an overgrip is applied to a new tennis racket which can wear down over time. It is then possible to remove it, without damaging the original grip, and replace the overgrip with a new one. By managing the grip this way, it avoids making the handle uneven for experienced and inexperienced players. 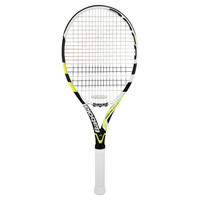 Putting on an overgrip onto a tennis racket is performed differently depending on whether the player who will use the racket is left-handed or right-handed. Firstly, most grips secure the end of it with a double-sided tape. This helps it stay in place. Some products, like the Tourna grip, don’t include a double-sided tape design but work equally well. When there isn’t a double-sided tape, it is a little harder to apply the grip correctly to the racket. But in most cases, what is needed is practice. Secondly, with the double-sided tape (if any) removed, you’re ready to begin. 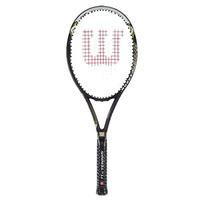 For right-handed players, take the racket in the left hand (or right hand for left-handed players) and place the end of the grip at the very end of the handle. The tape must line up with the edge of the end, but not overlap it. Stick it down and then wrap it all the way around the handle covering the very end of the original grip, so there are no gaps at the bottom of the tennis racket handle. Continuing, once this first circle of the grip has been put in place, begin angling downwards modestly to let the grip start to coil around the handle. While doing so, keep a finger on the edge of the grip to maintain it’s starting position; this avoids the grip unraveling while putting it into place. The amount of tension when pulling on the overgrip while coiling it around the handle must be consistent throughout the process. The angle also must be consistent too. Once the handle is fully wrapped, secure the tape either with the included double-sided tape or with electrical tape. It can often take a few tries at this process before you get the handle of it. There’s no harm in starting over to get just the right tension and good angle for a perfect fit. Once the racket is ready, hit the courts to see how it feels in hand. A backhand hit is either performed single-handed and two-handed. It is entirely up to the player whether they wish to play two-handed. For faster returns, a two-handed technique offers better protection from the speed of the opponent’s hit while still offering the ability to return the shot powerfully. The first step is the grip. It is either two-handed with either the dominant hand placed first (or last) or one-handed. Whichever feels comfortable is usually right for the player. Once the ball is within reach, spread the legs for a wider stance, and rotate the shoulders so that the arm and racket move together in a single motion. The player must be side on to the ball with their shoulder aiming down the line towards the net. The shoulder that’s the dominant one faces the net. The weight distribution must be on the back foot before winding up to use the backhand. The knees are also bent a little, and the racket starts that the 2’O clock position ready. The weight slowly moves from the back foot to the front foot as the shot it was taken. Some players grip their tennis racket like their life depends on it. The reality is that often causes a forced error, sending the tennis ball in the wrong direction. 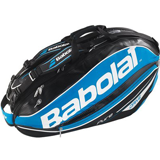 The racket head is commonly below the level of the ball initially, to reduce the amount of pressure on the wrist. It is lifted up as the ball comes near and then brought down in a sweeping motion to create sufficient speed to hit the ball, sending it powerfully back over the net. 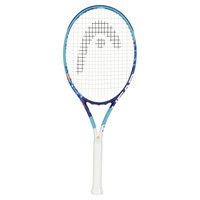 Depending on the angle of the racket and the speed it is brought down, topspin may be added to deliver extra forward bounce to the ball. While doing this, grip firmly without strangling the grip tape in the process. 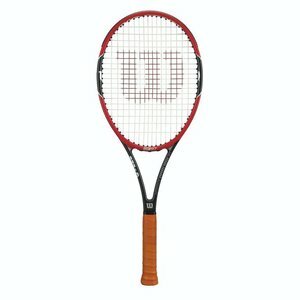 Obviously, you don’t want to drop the racket, but you also don’t want the grip to be too stiff either. The process of slicing a backhand shot creates a new difficulty for the opponent. They may not see the player performing the slice in time to run forward to return the shallow ball. The sliced backhand loops somewhat in the air, falling short of where the opponent often expects and then it typically moves back towards the net again. This increases the difficulty in reaching the ball in time and returning it well. Returning a backhand powerfully and well is all about it feeling right in the moment. 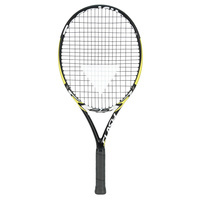 The racket needs to feel comfortable in hand. 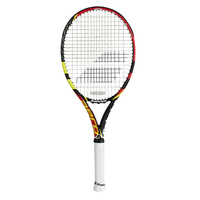 The weight and its distribution must be suited to the strength of the player to get the best out of the racket. Incorporating top spin or slices to some backhand shots is also important to surprise the opponent, keeping them on their toes, quite literally, making it harder to reach the ball in time. An effective backhand can be equally as good as a smash from a forehand shot. In many ways, the best backhand in tennis has a greater variety than a forehand shot which comes into play with experienced players who know how to mix it up to create surprises. When wanting to improve as a tennis player, or just to be more competitive, there are some useful techniques and skills one can acquire to improve your ratio of wins over losses. Here, we cover a few of the better ways to boost your game to the next level. Running from the baseline up to net is a good idea when sending a strong serve into the corner of their court or simply when hitting hard and deep. One must judge whether your opponent can strongly return the ball or will barely get the ball over the net. In the latter case, it is often a simple matter to return their ball away from their current position, to finish the point. With balls that are being sent high towards you, it’s possible to use an overhead shot to return the ball over the net. Sometimes it’s necessary to bend the knees a little bit when the ball falls lower than expected before reaching you. The elongated swing is one that begins with your tennis racket head up high and arches down to eventually hit the approaching ball using the forehand or backhand. The effect of performing this swooping motion is to add greater speed to the return. 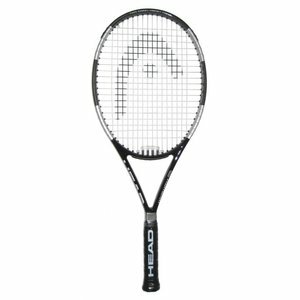 Make sure you have a powerful racket, and it’s been well-strung to avoid damaging your equipment with a hard return shot. The shot takes the time to practice and succeed at. 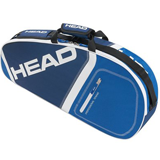 The slice is an angled shot where the racket starts above the ball with the head shown with the top closest to you and the bottom of the head tilted 45-degrees. The racket is then brought down to strike the ball in the center while continuing to bring it diagonally through the ball’s position. 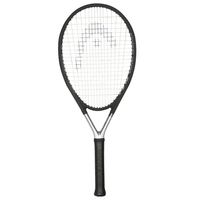 The racket ends up in a low position. The effect is to slice the ball which causes it to fall short and usually spin backward after it’s bounced on the court. When doing so, often your opponent will miss-judge the likely position of the ball and must run to reach it. The drop-shot is, to some degree, the opposite of the “Charging the Net” technique. Instead of rushing to the net and returning the ball hard into the corner of the opponent’s court, the drop shot involves a delicate touch. The racket is positioned below the ball and brought up to gently kiss it, rather than striking the ball hard. 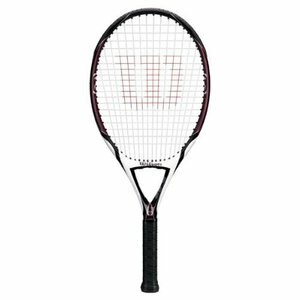 The idea here is to use the natural bounciness of the gut string tension with the racket to return the ball just over the net. The shorter return causes the opponent difficulty in getting to the net in time. Leaning forward when serving, while avoiding putting your foot over the line, is a useful way to get a slight advantage. The process of leaning forward helps the arm deliver its maximum speed to the serve and slightly reduces the distance to the net too. 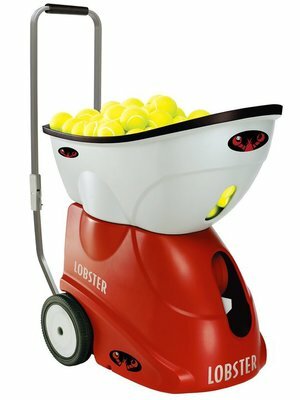 The more frequently you play a game of tennis, the dirtier your tennis shoes will become. We all have a favorite pair of shoes that we believe is lucky or simply the most comfortable when running around the court, and these get heavily worn over time. To remove the more apparent signs of excessive wear like grass smudge marks and refresh insoles that badly need some deodorizing, it is necessary to wash your tennis shoes. But what is the best way to go about that?Just run through our instructions below to simplify the process. Take the insoles out of the tennis shoes. These get washed on their own and are not part of the main wash.Use a plastic washbowl. Add some water that’s not overly hot, but not tepid either. Use a washing detergent and add an appropriate amount. Get a brush with reasonably soft bristles or if you don’t have one, try a cloth of some kind (an old t-shirt torn into sections will do in a pinch). Dip the brush or cloth into the water to soak it and begin scrubbing the insole. Depending on how much the stains or gravel has been ground into the material, you might need to apply some force with this and take your time. A sponge (artificial or real) is useful to mop up any of the detergent that remains once the cleaning process has been completed. Even after a thorough wash, should the insoles still be odorous, then try placing baking soda on the insoles, insert into a Zip lock bag, give it a good shake, and then leave it until morning. This should resolve the issue.Failing that, an old trick is to combine water and vinegar and leaving them to soak for half a day. Follow this up by again using baking soda, heated water and a fragrant oil to refresh the insole. 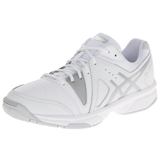 Most tennis shoes are machine washable. Check the label to make sure before use. Take out the laces to avoid them getting caught up in the metal washing bin and snapping. The laces can be washed by putting them into a fabric pocket or a pillowcase in a pinch.Use a brush to disperse visible caked-on mud and dirt that’s stuck to the shoe. Doing so will deliver a better result. We suggest washing a pair of best tennis shoes along with a few bathroom wash towels. The towels add some soft protection to the load and avoid the tumbling around during the wash or spin cycle that could damage the shoes. Older towels are best because newer ones sometimes have color dye or particles that will separate and contaminate the shoes. Apply a liquid washing solution to the machine. Do not use a powdered solution because it tends to deposit inside the tennis shoe. To remove unwanted odors, vinegar is a good solution to sprinkle in the wash bin. Oil, such as pine, is a useful disinfectant, but it must be almost pure.It is important only to use the “delicates” cold cycle to avoid hot water changing the form and shape of your shoes. With shoes that are over $100, it is worth considering hand-washing. Liquid detergent and warm (not hot) water, is best. Use a scrub to brush against the sole, midsole, and outer sole until they are clean. A cloth is also suitable if a brush is not available. Use a sponge to mop up any detergent. You can dry a pair of wet tennis shoes on the lower heat setting. There is some risk to this because the heat could potentially warp the shape of the shoe. It is a good idea to wrap up the shoes in a towel to avoid damage through direct exposure to heat. Place shoe laces inside a pillowcase to dry them too.Be sure not to leave the shoes unattended. Check the heat level or the response to the heat level careful and frequently. The other option is air drying. Here, the drying process is slower. Direct sunlight may alter the colors on the side of the shoe that is directly exposed to the bright rays. It is a good idea to position the tennis shoes beneath a table or in a location that is outside in the warmth but covered to avoid discoloration during the drying process. Stuffing a small hand towel inside each shoe is a smart way to help the shoe maintain its original shape.